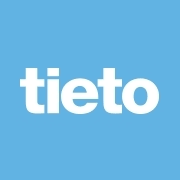 Tieto’s solution is built in a highly experimental environment with an end-customer oriented focus, using different technologies flexibly in cloud-native architecture. Combining this with the Marketplace Accelerator by Tieto and Wellstreet provides a fast time-to-market with minimal risk and great possibilities to scale quickly. Utilizing Marketplace functionality enables automated integrations of external fashion companies’ retail systems, which means that external brands can be showcased and purchased in Scandinavian Man’s web shop. This means that project hours can be spent on enriching the customer experience instead of developing integrations. At the same time, inventory costs are being cut as there is no need for Scandinavian Man to hold an inventory.